When you head out to the county fair, you have certain expectations in mind. There will be fried food, flashing lights, and rides that are, you know, definitely probably safe. But the Fairplex is gigantic, and if you keep plumbing the depths and exploring the random expo halls, you will encounter some pretty weird stuff. From quirky competitions to improbable stuff for sale to an unexpected way to get your errands done while you’re at the far, here are a couple of the stranger things we spotted this year. 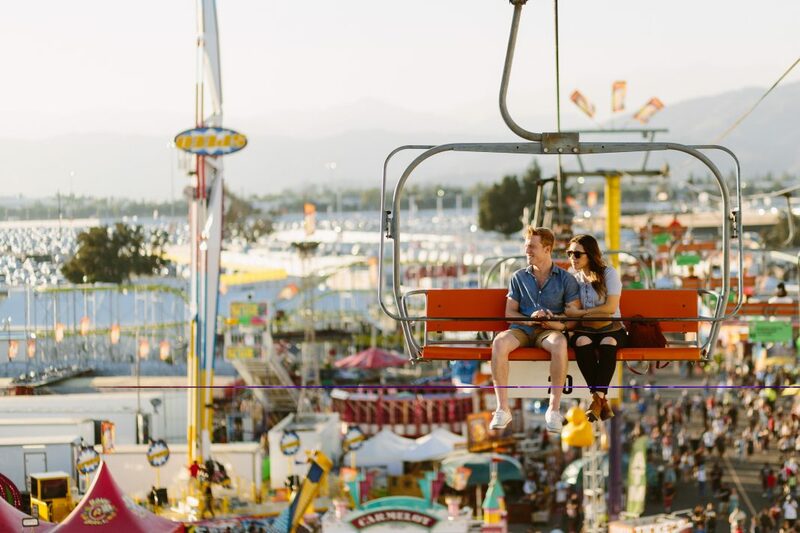 The L.A. County Fair continues through September 23. You know that moment when you’re wandering the fair, riding the rides, and then it suddenly hits you that at some point between now and 2020, you might need to convert your California driver’s license to a federally recognized Real ID? Don’t worry. You can head directly to the pop-up DMV booth inside one of the Fairplex’s expo halls. A DMV Now self-service kiosk also allows you to update your auto registration and get license plate stickers right on the spot. “Tablescaping” is a word you have seen on Pinterest around Thanksgiving to describe elaborate, color-coordinated plates, napkins, and harvest cornucopia centerpieces. But, as the entrants in this year’s L.A. County Fair tablescaping competition know, it can be so much more. Want to decorate a table with a theme of an old west chuck wagon or cats (not Cats, just…cats)? You can! But beware the judges, who may leave public comments on the presence of proper forks or a lack of imagination in napkin folding. Dozens and dozens of hot tubs–but not a single person swimming. Five different vendors set up stations showing off the latest in hot tub technology, from discrete units with faux-stone motifs designed to blend into your landscape, to some truly gargantuan models. That drought is technically over, right? This year’s theme is Route 66, and there’s an attraction to explore that showcases scenes from each of the eight states the highway runs through. When it comes to New Mexico, they decided to go full Roswell. The popular photo op is a selfie mugging with a human-sized grey man. Presumably, a Georgia O’Keeffe theme was nixed. Stay on top of the latest in L.A. food and culture. Sign up for our newsletters today.